1.3 We are the data controller of your personal data. 2.1 We will collect your personal data such as name, email address, geographical address and telephone number when you provide such details to us either when you register on our website, order goods from us or otherwise contact us. All personal data that you provide to us must be true, complete and accurate, and you must notify us of any changes to such personal data. If you provide us with inaccurate or false data, and we suspect or identify fraud, we will record this. You must not register under someone else’s name. 2.2 When you contact us by email or post, we may keep a record of the correspondence and we may also record any telephone call we have with you. 4.1 You consent to the lawful processing of your personal data to supply to you the goods that you have purchased including processing orders, payment, delivery and any returns you may wish to make. 5.2 Under certain circumstances we may have to disclose your personal data under applicable laws and/or regulations, for example, as part of anti-money laundering processes or protect a third party’s rights, property, or safety. 5.3 We may also share your personal data in connection with, or during negotiations of, any merger, sale of assets, consolidation or restructuring, financing, or acquisition of all or a portion of our business by or into another company. 6.1 When you register with us, you will be offered the opportunity to consent to receive marketing email messages from us. We record your consent. 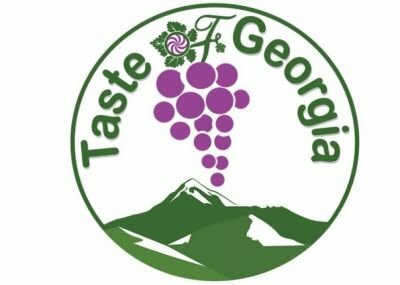 You can choose to no longer receive marketing emails from us by contacting us at gamarjoba@tasteofgeorgia.co.ukor clicking unsubscribe from a marketing email. If you do unsubscribe to marketing communications, it may take up to 5 business days for your new preferences to take effect. 7.1 Some or all of your personal data may be stored or transferred outside of the European Union (the EU) for any reason, including for example, if our email server is located in a country outside the EU or if any of our service providers are based outside of the EU. You are deemed to accept and agree to this by using the Services and submitting personal data to us. If we do store or transfer your personal data outside the EU, we will take all reasonable steps to ensure that your data is treated as safely and securely as it would be within the EU and under applicable laws. 7.1 A cookie is a small text file containing a unique identification number that is transferred (through your browser) from a website to the hard drive of your computer. The cookie identifies your browser but will not let a website know any personal data about you, such as your name and/or address. These files are then used by websites to identify when users revisit that website. 7.3 We also use third party cookies such Google Analytics, Google Remarketing Tag, Bing Webmaster Tools, Facebook Pixel and Twitter Conversation Tracking to monitor how our website is used. These cookies collect information anonymously and generate reports detailing information such as the number of visits to the system, where visitors generally came from, how long they stayed on the system, and which pages they visited. They place several persistent cookies on your computer’s hard drive. These do not collect any personal data. If you do not agree to this you can disable persistent cookies in your browser. This will prevent these third party cookies from logging your visits. 8.1 We shall process your personal data in a manner that ensures appropriate security of the personal data, including protection against unauthorized or unlawful processing and against accidental loss, destruction or damage, using appropriate technical or organisational measures. All information you provide to us is stored on our secure servers. Any payment transactions are encrypted using SSL technology. 8.2 Where we have given, or you have chosen a password, you are responsible for keeping this password confidential. 8.3 However, you acknowledge that no system can be completely secure. Therefore, although we take these steps to secure your personal data, we do not promise that your personal data will always remain completely secure. 9.5 We retain your personal data in accordance with applicable laws. Therefore, if you register with us, we shall retain your personal data until you close your account except where we are required to retain your personal data for longer to comply with accounting and taxation requirements. If you receive marketing communications from us, we shall retain your personal data until you opt out of receiving such communications. If you have otherwise contacted us with a question or comment, we shall retain your personal data for 6 months following such contact to respond to any further queries you might have.